I don’t want to be troublesome. Really I don’t. But this matter of the county clerk in Kentucky is just really interesting. I’d like to look at several other instances of defiance of the law, just so we have a chance to get clear about what is at stake here. 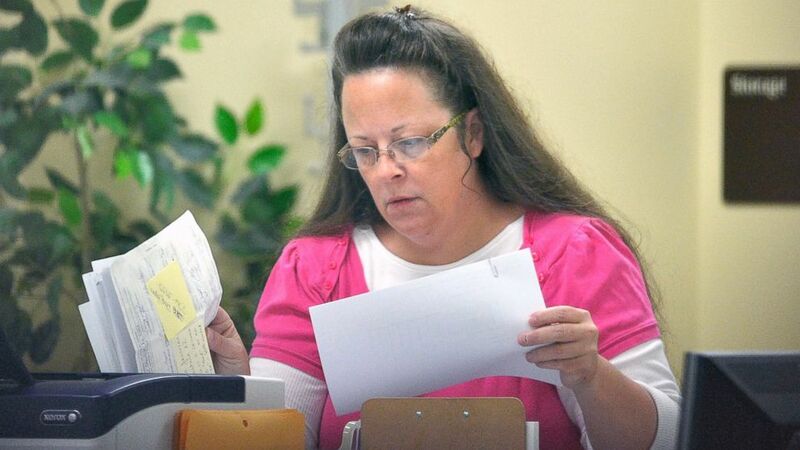 Kim Davis is, or was at the time this story appeared in the New York Times, the County Clerk of Rowan County, Kentucky. She is a member of a very conservative Christian church in a very conservative state. She believes that sinners go to Hell and that she is being asked, in her capacity as County Clerk, to commit a sin. I am a liberal person, myself. More politically and economically liberal than culturally liberal. And most of my friends  are liberal as well and Mrs. Davis has been roundly condemned because of the subject matter that her action deals with. It deals with homosexuality. God comes first, with Jefferson, at least rhetorically and the civil law made by underlings—that would be the King and the Parliament for Jefferson, the Constitution for Mrs. Davis—comes second. Abraham Lincoln didn’t feel that way about the Supreme Court’s decisions. He was particularly offended by the Court’s decision in Dred Scott v. Sanford (1858) and to people who said that he should be bound to respect it, he said that it would be prudent to wait and see if the Court affirms that decision. If a series of cases considers the question and comes up with the same decision time after time, we probably ought to call it LAW. This Dred Scott thing might just be a blip; it might not mean anything by itself. 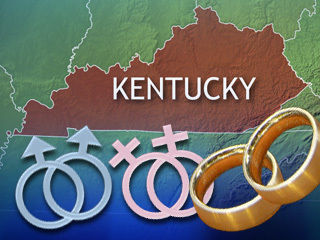 The Supreme Court decided Obergefell v. Hodges on June 26, 2015. By a 5-4 vote. Two months later, a gay couple shows up at Mrs. Davis’s counter asking that “the Law” be honored. Mrs. Davis might have cited fellow Kentuckian Abraham Lincoln to the effect that we should all wait to see if this is a one-off like Bowers v. Hardwick or a genuine decision. But she didn’t. Instead, she chose to “do the right thing.” Like, for instance, destroying draft board records in Catonsville, Maryland, an act for which the one or both of the Berrigans, Daniel and Phillip, served three and a half years in prison. 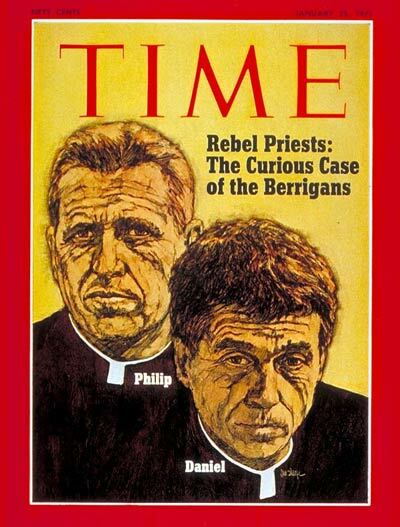 The law said that selective service was the right thing to do and the Berrigans, priests, both of them, said it was not and refused to obey. Edward Snowden violated the law and has not yet served three and a half days and may never serve any time at all. He said that the law was a bad law—in addition to being insidiously circumvented by people who claimed they were following it—and that the right thing to do was to refuse its claim on his loyalty. In going on like this, I am not justifying what Mrs. Davis did. I am trying to look more closely at the “other things,” I called them, that I get to see when you suspend homophobe-phobia. One thing I get to see is that America has from our birth—literally from our birth—appealed to a higher law than mundane (Constitutional) law. It’s easier to see it when the good guys are doing it, which is why it is worth while to add Mrs. Davis to the list that includes Mr. Jefferson, Mr. Lincoln, the Fathers Berrigan, and Mr. Snowden. It is also worth noticing that Mrs. Davis is showing a very lively fear of going to Hell. 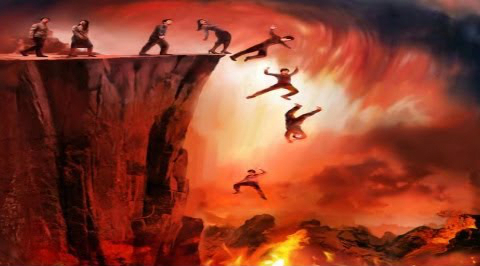 It doesn’t seem very likely to me—liberal Protestant that I am—that there is a Hell of the sort the Solid Rock Apostolic Church teaches about and I am just a little uneasy when I see how cavalier my attitude is toward her worst nightmare. This is not just a life and death of the body matter to her; it is a life or death matter for her soul. I wonder if I would look at this whole matter differently if I had the nightmares she has . It comes right up to the edge of saying out loud that I don’t mind all that much if Mrs. Davis goes to Hell, so long as it isn’t me. That is a sentiment so shorn of human feeling that I don’t even want to say it to myself, let alone to publish it in a blog. Then there is the mockery of Mrs. Davis as a hypocrite. Why is she a hypocrite? Well, she is a hypocrite because she herself has married several times in direct contradiction of God’s word—as Mrs. Davis understands it—that we should marry only once. To deal with this charge, I think we need to get back to understanding just what a hypocrite is. A hypocrite is someone who is acting a part that he or she doesn’t really affirm. I pretend to be more religious than I am because everyone respects people who are religious. That is hypocrisy. Or I pretend to be more patriotic than I really am or more world-weary or more dismissive of approval than I really am. All those are part-playing so all are hypocritical. I don’t think Mrs. Davis is acting. I think her actions come directly from her commitments. She is not very consistent, I notice. She says this is right and does that instead. She fails to live up to what she thinks of as God’s standards, so she is a sinner. But I have read not one word of criticism of her as a sinner. 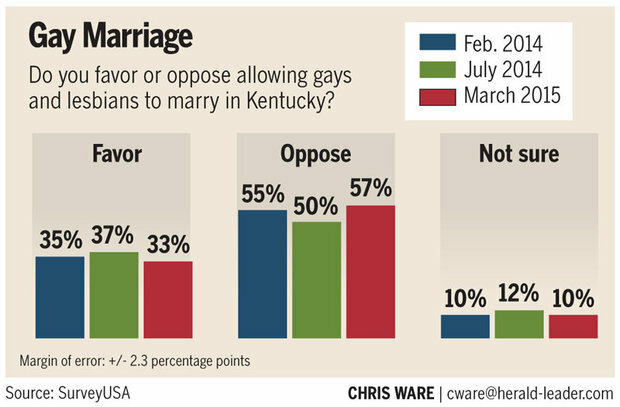 I have read a good deal more about her violating God’s notion of what marriage is and then refusing to let these two Kentuckians also violate (her idea of )God’s notion of what marriage is. On the other hand, I think she made a really bad decision. She is trying to use her public office to enforce her private notions of godliness on her neighbors. She really shouldn’t do that. If she can’t do what the office requires—and has required for nearly two months now—then she should turn the office over to someone who will and then she should go on a speaking tour as a Christian martyr and make millions of dollars from conservatives looking for an exemplar and then retire in genteel splendor in western Montana. None of that is against the law and it only costs conservatives money so I’m fine with it. Mrs. Davis would not take advice from me, I am sure, and by refusing, she shows that she still has some sense. But if I were going to give advice, I would start with knowing just what God’s word—God’s breath, God’s teaching, God’s wisdom—are about this matter. She is confident that she knows that based on a few verses of scripture, whose siblings she rejects without consideration. If she were to cite the Bible, I would say that the Bible is a library and it offers all kinds of positions on all kinds of issues. And for every one of those issues, you must take the time and the situation and the kind of literature into account. It gets complicated. But if you are going to say what God says, “complicated” should not be too high a price to pay. 10 For whoever keeps the whole Law but fails in one point is guilty of breaking all of it. 11 For the one who said, “Never commit adultery,”[f] also said, “Never murder.”[g] Now if you do not commit adultery, but you murder, you become a violator of the Law. And I would like to see a little compassion for the tiny minority of people who are deeply conflicted about public v. private and sacred v. secular values. I don’t want any compassion for their position; I want to see the position condemned for the reasons I have given above. But the actual person—maybe a little compassion wouldn’t cost us more than we could afford. Not all my friends. I still have a few conservative friends and I am very proud of having them. The same vote by which they elected George W. Bush as President of the United States, may I remind you. Certainly not a word, but if you hate homophobes, there needs to be a word for what you are doing. That’s a metaphor. I don’t actually know anything about Mrs. Davis’s nightmares. My own idea of a nightmare would be attending the Solid Rock Apostolic Church. That is, after all the way President Nixon got the Independent Special Prosecutor fired in what is now called “the Saturday Night Massacre.” He just kept firing people until he got down to someone who was willing to do what he was told. This entry was posted in Biblical Studies, Politics, ways of knowing and tagged Daniel Berrigan, gay marriage, Kentucky, Kim Davis, Obeying God's Law, Obeying the Constitution. Bookmark the permalink.